Express your passion for art and develop a meaningful relationship with the Gallery by becoming a member of the Queensland Art Gallery | Gallery of Modern Art (QAGOMA) Foundation or one of our supporter groups. 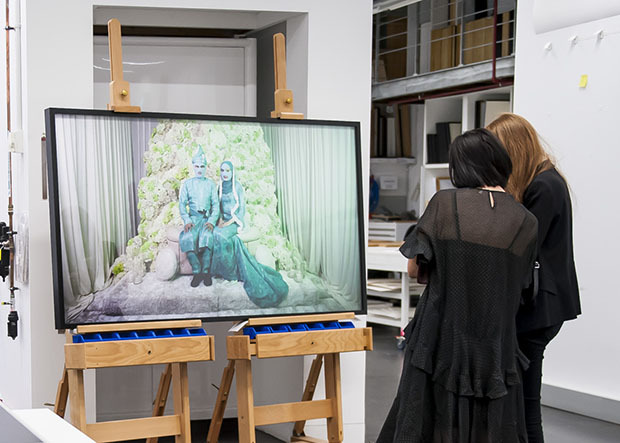 Receive invitations to exclusive exhibition viewings and previews at QAGOMA. Be the first to find out about the QAGOMA Foundation's annual Appeal artwork, hear artist and guest talks and take part in our elegant Annual Dinner and Christmas Celebration. Have your contribution recognised in the Foundation's Year in Review publication. Donors of significant gifts are also recognised on the Donor Boards in the Gallery foyers. Get all the latest news on exhibitions and programs through a range of regular Gallery publications. Enjoy our exclusive Members Lounge, surrounded by artworks from the Collection in the Queensland Art Gallery. Join one of our focused supporter groups to experience giving in a completely different way with a range of tailored events and take an active part in helping the Gallery grow. Find out more. His Excellency the Honourable Paul de Jersey, AC , Governor of Queensland, is the Patron of the QAGOMA Foundation. You can make a donation by filling in and submitting the payment form below or contacting the Foundation on foundation@qagoma.qld.gov.au or +61 (0)7 3840 7262. 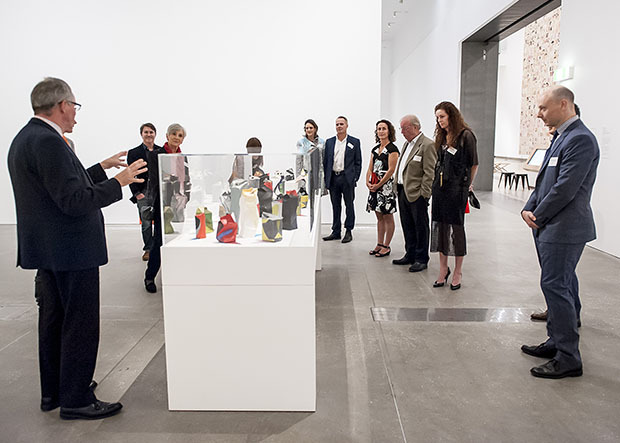 The QAGOMA Contemporary Patrons gathers together a passionate group of art collectors and benefactors to contribute directly to the Gallery's holdings of contemporary Asian, Australian, Pacific and international art. Enjoy access to QAGOMA exhibitions, private and corporate art collections and artists' studios, and major arts events through a dedicated program. Help shape our holdings by collectively deciding on a contemporary artwork to be acquired for the Gallery's Collection. The QAGOMA Future Collective enables young professionals and creatives to enjoy a platform to fuel, share and develop their interest in arts and culture while supporting the QAGOMA Foundation. Future Collective members are invited to a series of exclusive evening events at the Gallery and, on an annual basis, select a project to be supported by the group's funds. Individuals from 18 years of age to their early 40s can join by donation.